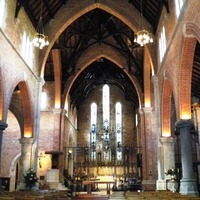 Image of St. George's Anglican Cathedral at 38 St. George's Terrace, Perth, Western Australia. A typical example of the 'Gothic Revival' style of architecture, the cathedral was designed by Sydney architect Edmund Blackett. 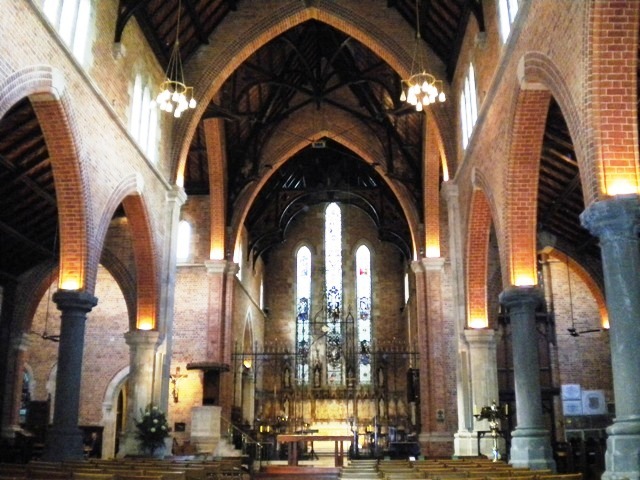 “Interior of St. George's Cathedral, Perth,” Medievalism in Australian Cultural Memory, accessed April 25, 2019, http://ausmed.arts.uwa.edu.au/items/show/94.